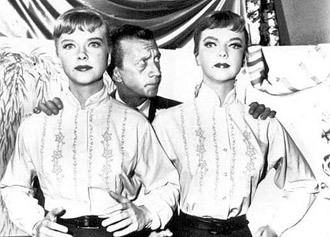 The wonderfully creepy Twilight Zone episode, “After Hours” is a visual manifestation of something I have thought about often, surrealistically. I have always wondered about inanimates left alone, left to their own devices. I know this is odd and I know intellectually that inanimates do not come to life, but it is still something my imagination enjoys thinking about. In this episode, mannequins are able, once a year, to go between their inanimate self into the “real”, animate world. Meet Marsha White (played by Anne Francis) who is in a department store to buy a thimble to send to her mother. Her voyage becomes surreal quickly as she is taken by the elevator operator to the top floor that is empty, a seeming storage area for the store. In the end, we find out that Marsha is a mannequin who is late returning to her inanimate self from the living world. 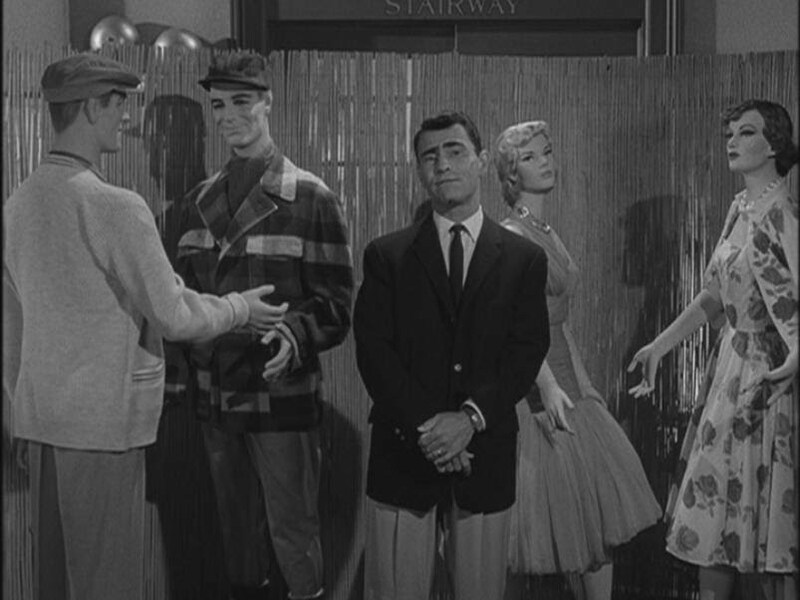 This makes for another timeless and fascinating episode, but what it represents is significant and what I am drawn to as I think of mannequins as adult-sized dolls. Escapism is a part of life, a need for adults, and this is why television shows such as Twilight Zone have a constant appeal. As children, dolls fill this need for escape from our reality, an entrance into a world where the inanimate becomes animate even if the animation is created by our own hands and imaginations in play. I remember being about seven years old, walking through the local mall with my mother. After my obsessive compulsive need of going into the middle of the racks of clothes and peeking at people passing while my mother shopped, we began walking around to other departments. We passed a beautiful mannequin that captivated me, made me stop in my tracks. A few moments later, she began to move slowly. At first I was more excited than I had never been before and then that excitement was replaced with the terrifying notion of: “This cannot be happening.” But I did want to believe these mannequins were real, even if her moving was strange and terrifying. It turned out this mannequin was a real woman working as a living mannequin. We even saw her later perched over a cup of coffee as if she were the loneliest woman in the world. I couldn’t understand in my young mind how someone that beautiful could be so lonely and sad, it now makes an odd kind of sense. The stamina her job required is inconceivable. Physically, psychologically, emotionally, a stamina required of her very soul. But there was also something alluring about this woman and her job of pretending to be a mannequin, and for many years after that I would attempt being a mannequin myself when I was alone in my bedroom. Mannequins can be our new escape, a version of an ideal self we wish to attain. You can buy the clothing she wears, covet her jewels and accessories and in a manner, become her. But as we learn in “After Hours” and in watching a living mannequin slump sadly over coffee, is that maybe our attempts toward the ideal is less important than simply our need to escape and play within our own imaginations. This new niche you have carved out for the dollwork.org blog is really interesting. I’m enjoying all the disparate yet linked content. This article is particularly interesting to me because you are combining nostalgia, personal narrative and media review simultaneouly. A few items to consider; I think you should italicize TV program in caption, and keep trying to link yourself OUTSIDE the article to a few key places.